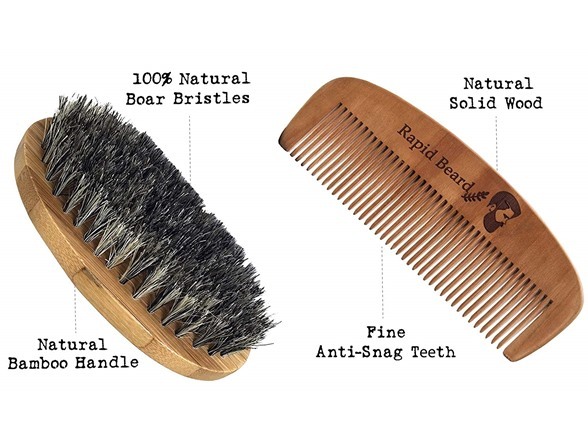 100% BOAR BRISTLE BEARD BRUSH – natural boar bristles help distribute oil, improve hard hair texture, styling, shaping, smoothing and conditioning. 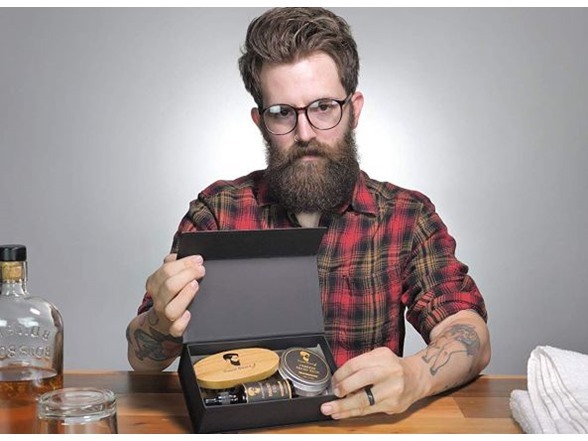 Great used with beard oils, balms, waxes & conditioners. 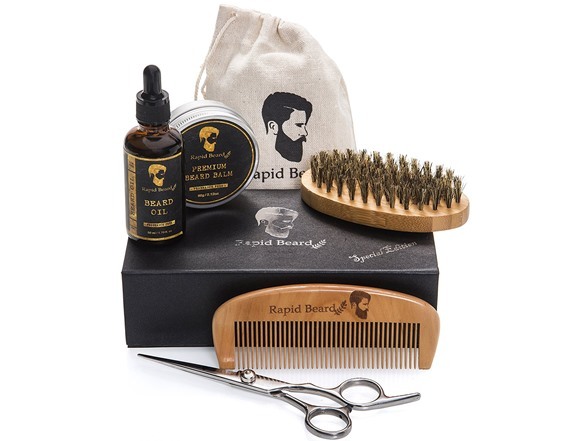 Ideal for firm beard and stache grooming, softening and styling. HANDMADE, ANTI STATIC & SNAG FREE - each wooden comb is crafted with the tender care that will leave your hair feeling smooth at any given time. 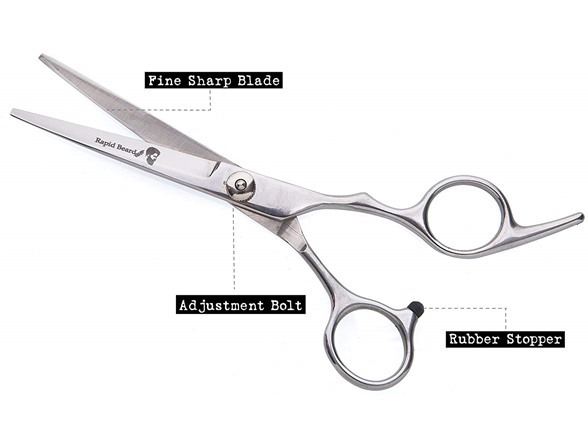 Thick fine tooth finish that can get through any hair or beard. 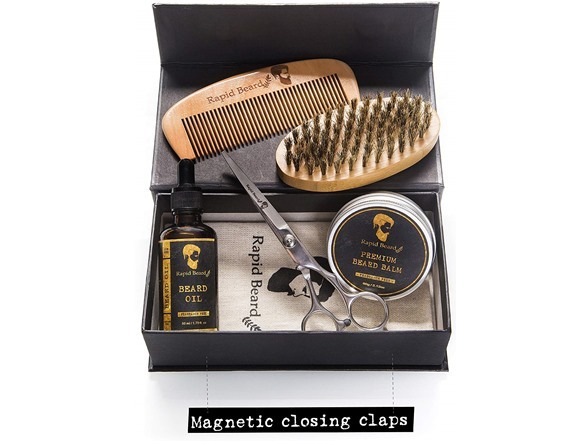 PERFECT GIFT - This kit comes packed in a luxury premium gift box. 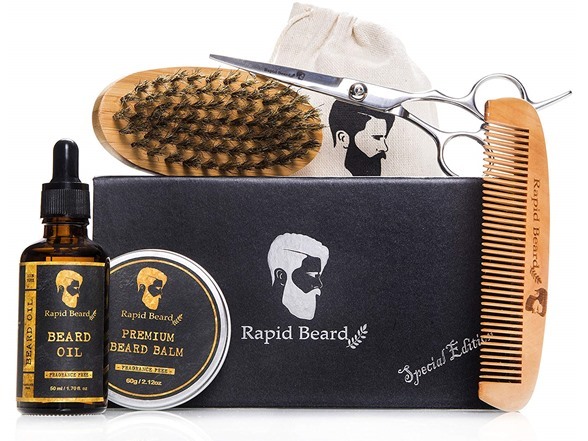 Can easily make up a great gift for a bearded friend, Colleague, family member or husband that could use some beard care products to tame up his beard and mustache!